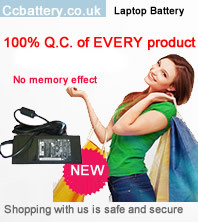 Ccbattery.co.uk was Established in 2002, We offer hundreds of replacement laptop batteries for most every notebook computer on the market. including APPLE, CLEVO, COMPAL, DELL, HP, FUJITSU, MEDION, SONY and so on. our vision was to empower people worldwide in buying and selling online. 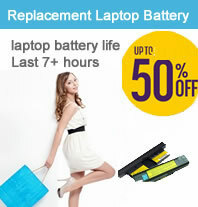 Whoever you are, and wherever you are, Ccbattery.co.uk offers the same price to all: the lowest possible. Whether you’re a retailer who refuses to pay the high prices in your country, or a shopper looking to get hold of the latest products, Ccbattery.co.uk provides light-speed service and fantastic prices. we can keep costs low while maintaining the highest of standards. Low Prices, discount 30% ! 5-10 days arrive fast and secure !